Very Good. Creativity and innovation are the keys to competitive advantage, and yet many organizations view inspiration as an unmanageable phenomenon. This book focuses on ideas for incorporating the power of creativity into your strategic outlook. Trade paperback (US). Glued binding. 239 p. Contains: Illustrations. Harvard Business Review (Paperback), 3. Good. Creativity and innovation are the keys to competitive advantage, and yet many organizations view inspiration as an unmanageable phenomenon. This book focuses on ideas for incorporating the power of creativity into your strategic outlook. Trade paperback (US). Glued binding. 239 p. Contains: Illustrations. 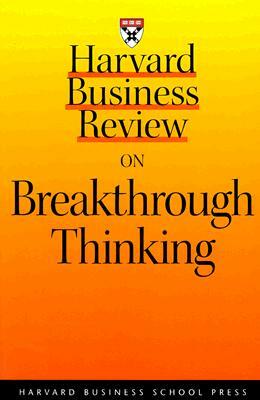 Harvard Business Review (Paperback), 3.